While Morrissey is embroiled in label drama, his former Smiths collaborator Johnny Marr remains all about business. The guitarist will release the sophomore solo album Playland on October 7 via Warner Bros. Records, and he's shared a video for the track "Easy Money." The track has a buzzing dance-punk pulse that sounds like something that might have emerged in the early part of last decade. The video plays off the titular suggestion of easy money by showing Marr hanging around a casino and getting advice from a fortune teller, while his performance on a glittery gold stage is rather sparsely attended. 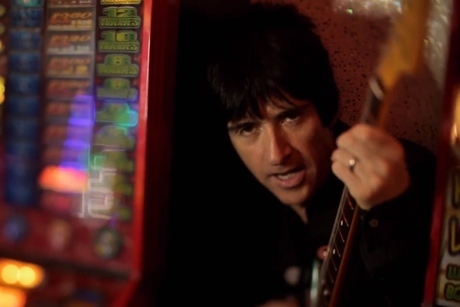 You can also read our recent Questionnaire with Johnny Marr here.